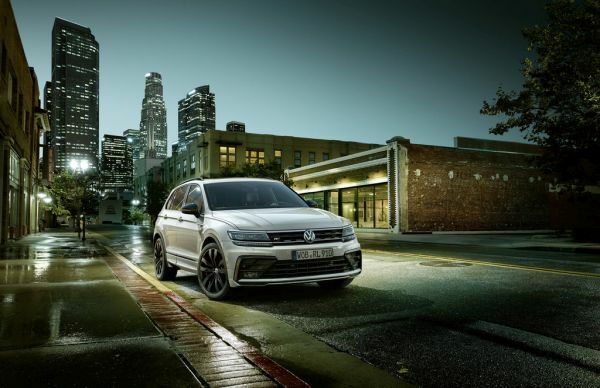 Drivers can now add a host of fashionable and sophisticated black features to their Tiguan with the new “Black Style” R-Line design package, making the compact SUV yet more elegant and dynamic-looking. The Comfort and Highline1 specification packages for the Tiguan can now be combined with the “Black Style” R-Line design package. It is available in the following colours: Mother-of-Pearl-Effect Oryx White; Pure White; Indium Grey Metallic; and Pearl-Effect Deep Black for the Tiguan. 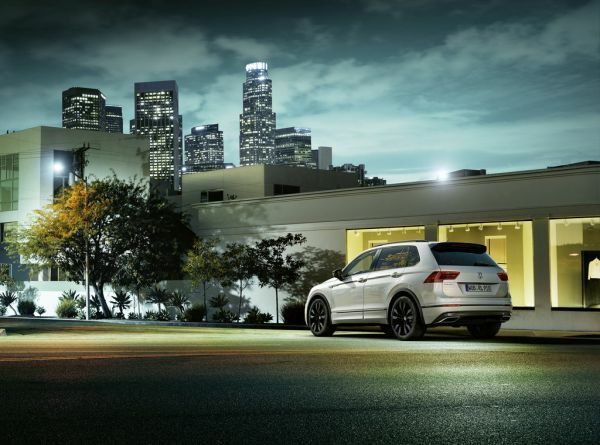 The “Black Style” R-Line design package for the Tiguan is available from EUR 3,365.00. For a more athletic appearance still, drivers can opt to add 20-inch black “Suzuka” wheels for EUR 490.00. The first Tiguan was launched in 2007 and is a global bestseller for the Volkswagen brand. The second generation of this vehicle was launched in 2016 and became the first Volkswagen SUV to be based on the modular transverse matrix (MQB). This was followed by the Tiguan Allspace in 2017, which is almost 22 centimetres longer and comes with up to seven seats. The Tiguan and Tiguan Allspace are key pillars of the ongoing Volkswagen SUV campaign. The two variants of new Tiguan had sold over 600,000 units by the end of September 2018, with over 4.6 million Tiguans in total sold since 2007. The Tiguan and Tiguan Allspace are now produced in four countries (China, Germany, Mexico and Russia) and are available all over the world. The Tiguan OFFROAD2 with 4MOTION all-wheel drive as standard has recently been made available to order. 1. Tiguan 110 kW/150 PS – fuel consumption in l/100 km: urban 6.0 – 5.5/extra-urban 5.1 – 4.3/combined 5.4 – 4.8; combined CO2 emissions g/km: 143 - 126; efficiency class: B - A. 2. Tiguan OFFROAD 2.0 TDI 110 kW/150 PS – fuel consumption in l/100 km: urban 6.0/extra-urban 5.1/combined 5.4; combined CO2 emissions g/km: 143; efficiency class: B.